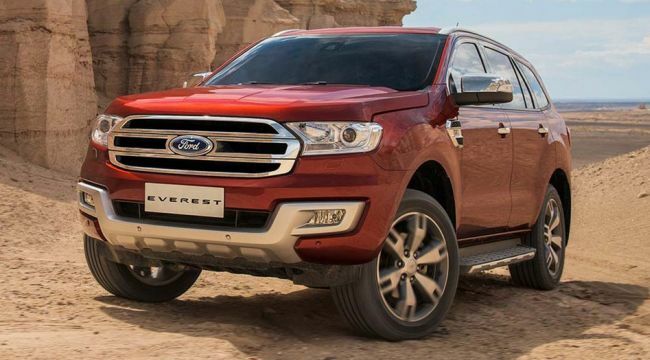 Ford’s greatest SUV called the Everest is almost ready to go on sale. We are quite sure that you will fall in love with it as soon as you see, and we must admit that it stole our hearts as well. 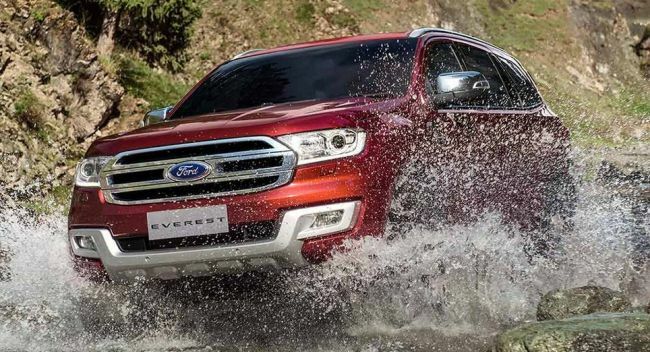 This powerful and body-on-frame vehicle won’t be available in the U.S. Customers in China, India, New Zealand, South Africa, and Australia will be able to drive and see the new 2015 Ford Everest on their roads. 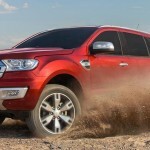 The vehicle will be more powerful than ever and its off-road and on-road capabilities will be significantly enhanced. Besides that, it will arrive with wide range of interior amenities and powerful engine options. Stay tuned if you want to learn more details about solid-rear-axle, diesel-powered vehicle. 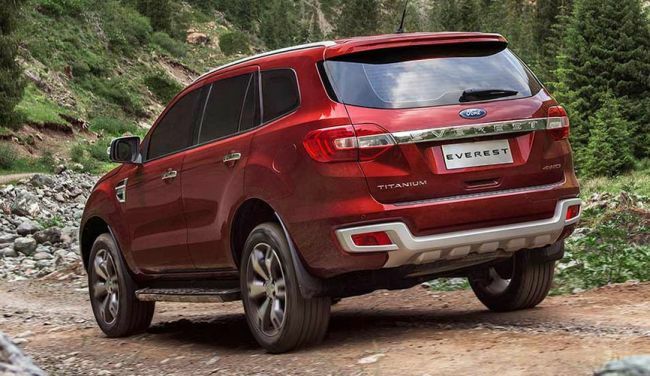 The new look of the 2015 Ford Everest can be described as a ruggedly handsome SUV. 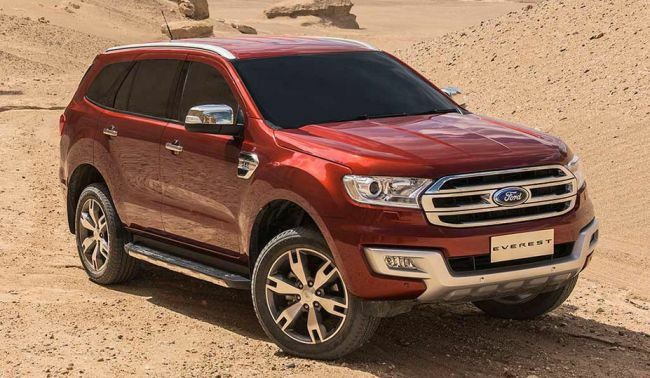 Thanks to its tall ground clearance, meaty tires, and redesigned front and rear fascias, the vehicle looks more appealing than ever. 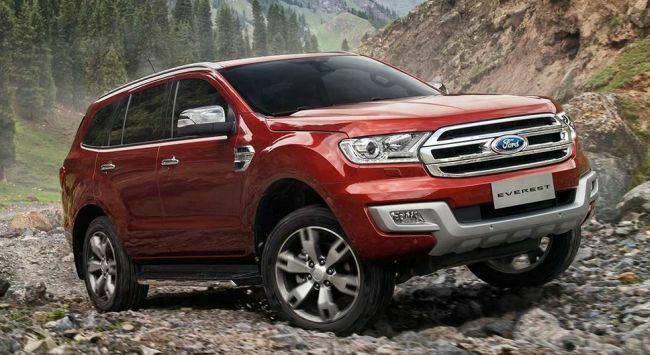 The overall exterior design of the vehicle is improved by a large chrome grille with chrome accents. 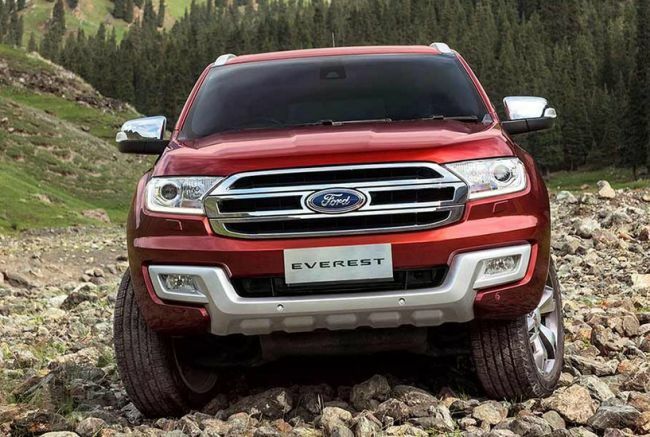 To help you get a clear picture of the new Everest, we will tell you that the vehicle is based on the Ranger, a mid-size pickup. This off-road bruiser has a rather luxurious and classy exterior. 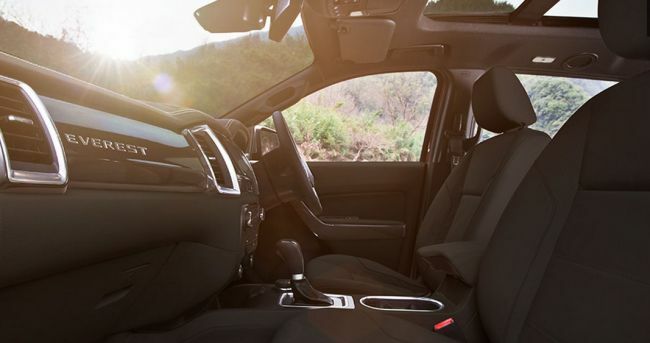 The cabin offers you ample of space so you don’t have to worry about headroom and legroom. Since the cabin has three rows of seats, it can accommodate up to seven passengers at the time. 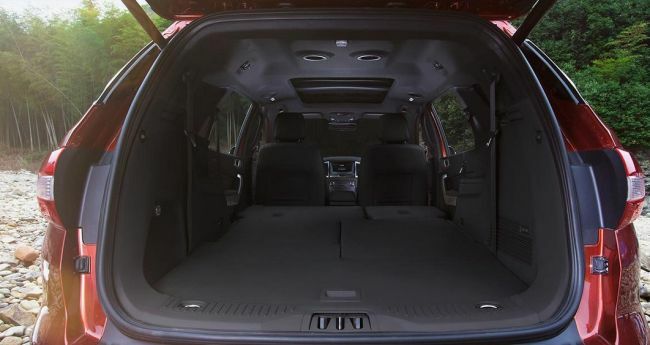 If you need additional cargo area, the rear two rows can be folded. The cabin gets a new down-to-business dashboard that is accented by an 8-inch entertainment screen that features Sync 2. The new center console hosts the Terrain Management knob, locking differential, buttons for traction control, etc. You will also find an USB port, an SD card slot, and two 12-volt power ports inside of the cabin. 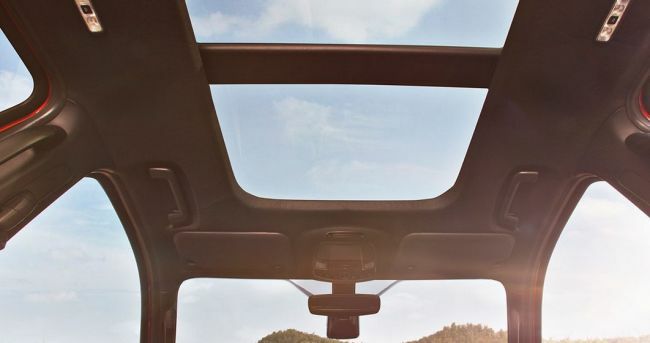 Besides excellent technological features, the cabin of the newcomer also has a great number of safety and driver assist technologies such as Blind Spot Monitoring, Curve Control, Lane Departure Warning, Cross Traffic Alert, and many others. 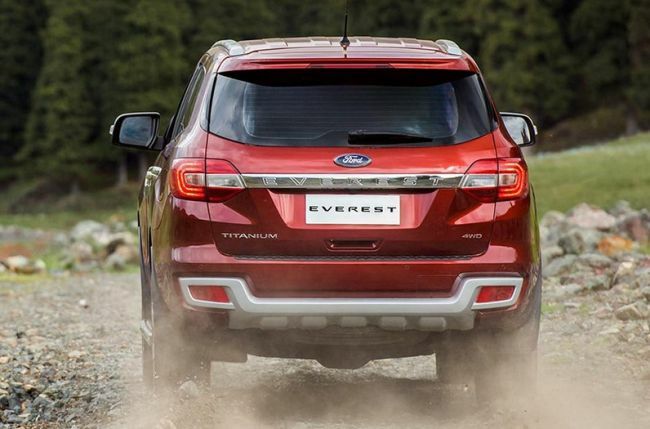 When it comes to the engine of the 2015 Ford Everest, potential customers will have great choice. There will be three available engine options and two gearbox options. 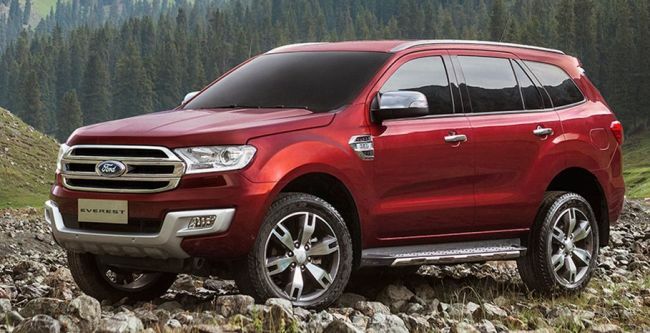 The only gasoline drivetrain option is a 2.0-liter EcoBoost. 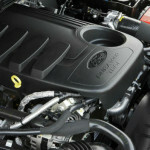 This is the same engine that ensures power for the U.S. version of the Ford Fusion. 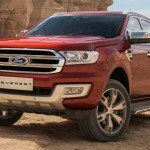 The next engine is a 2.2-liter, DuraTorq, four-cylinder diesel unit. 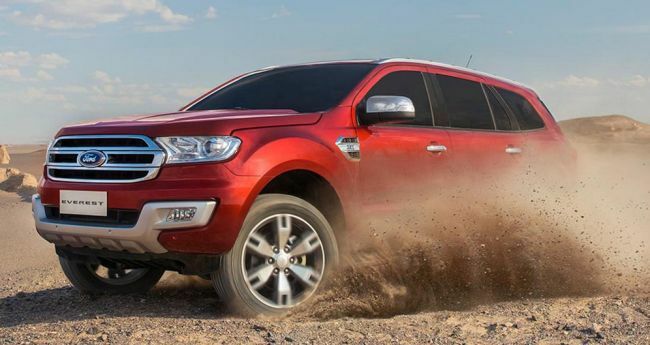 The most powerful engine for the newcomer will be a 3.2-liter, DuraTorq, five-cylinder diesel power-plant. 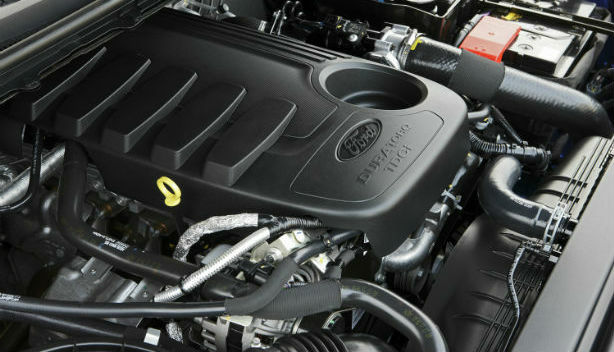 The aforementioned engines can be coupled either to a six-speed automatic or a six speed manual transmission. Unfortunately, the company hasn’t announced output details of the engines. The vehicle will be able to accelerate form 0 to 60 mph in 8 seconds, with the top speed being rated at 120 mph. 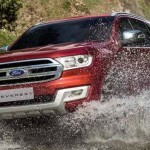 The exact release date and price of the 2015 Ford Everest are yet to be announced.